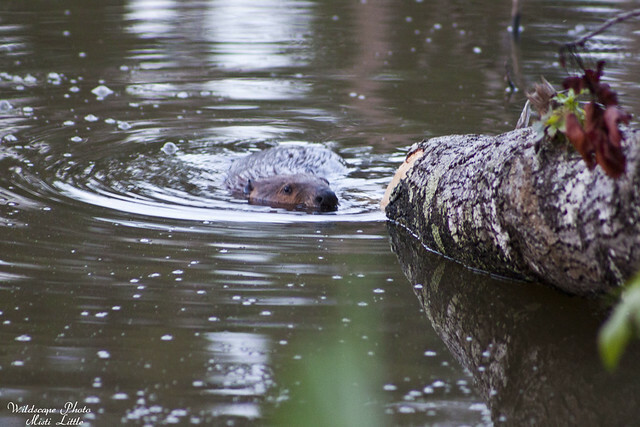 I went to a community meeting for our little town a couple of weekends ago and the council mentioned that they’d had problems with beavers in the past and that we should mention if we saw any on the pond. My hand shot up so I could mention that we’d scared something off the banks of our property on our pond the night before. Chris has long thought we had nutria or maybe otters on the pond but we’d never really had a good look. 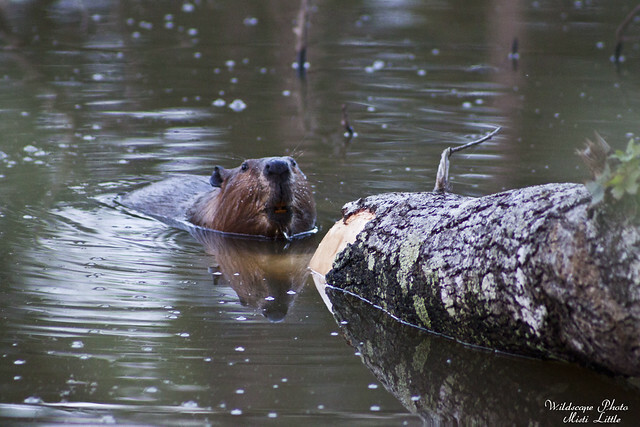 Then a couple of nights ago Chris saw one up close and called it a nutria and then he went off to Lowe’s to get something for building the deer fence. I went to the pond to poke around and see what was going on when I heard a noise. The sweetgum that fell after the pine tree landed on it six or seven weeks ago is still in the pond. Chris was able to cut up most of the pine tree this week but wasn’t able to get as far as cutting up and pulling the sweetgum out of the pond. After I heard the noise I eased over and sure enough I saw the animal ripping bark off the tree and chowing down for dinner. A limb just under the water provided the perfect bench for sitting while it munched away. 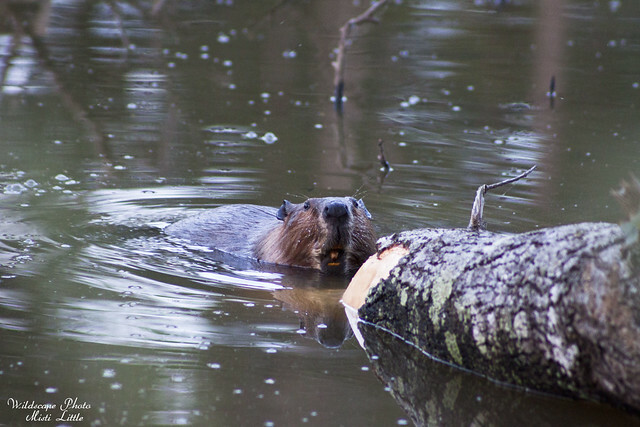 Even that evening after I went up to look up nutria and beaver differences I was still thinking it was a nutria because the teeth in the photos appeared orange like the descriptions were saying. 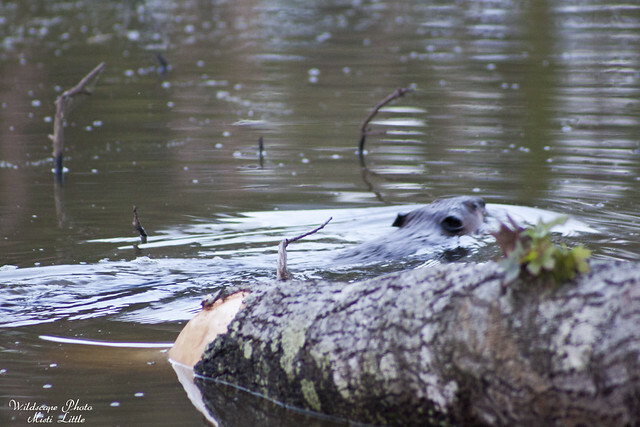 But as I sat down to write this post I went and looked again, particularly at this resource and determined it was really a beaver that was in the pond and not the nutria that Chris thought. 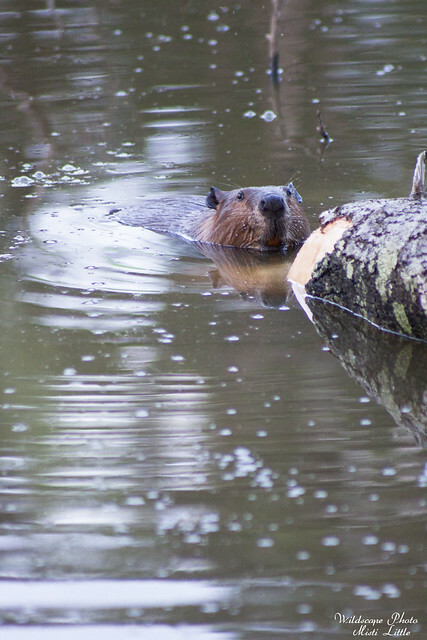 Taking a better look at the nose and the lack of white on the mouth of the face, it really defines that this was a beaver. I know this might seem silly to some people, but I have not seen a lot of these animals in my life, mostly on the Appalachian Trail and even then those were far glimpses. If I’d seen its paddle there would have been no question, but other than that I wasn’t so sure. 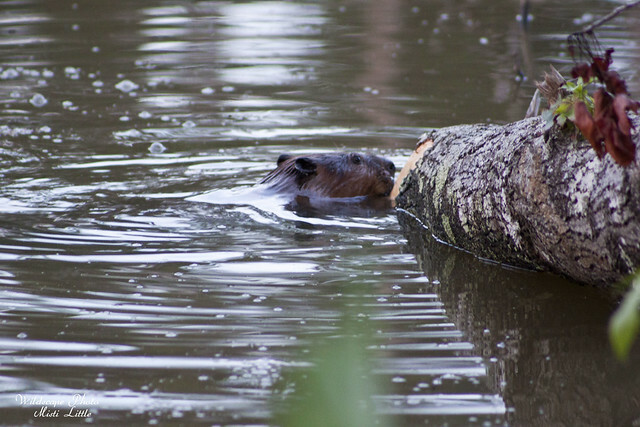 Now that we are aware there’s a beaver in the pond we’re taking a few precautions around some of the trees we planted down along the shore. This morning Chris put wire mesh around two young cypress trees we had planted. He actually thought they had already been devoured but I found them being swallowed by the emergent vegetation. Time to trim that down I suppose. 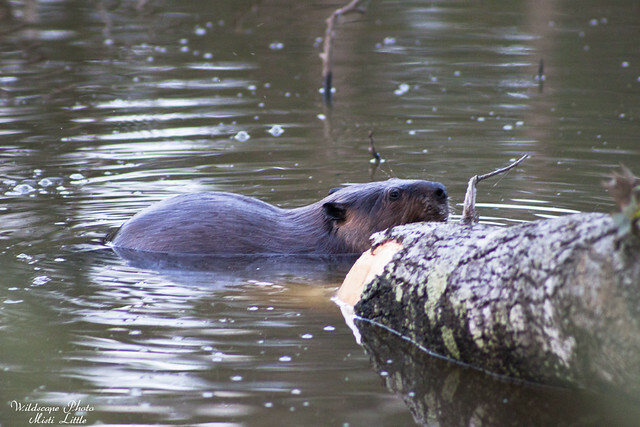 I know they can be a pain in the neck, but I love beavers. Hope it’s a good neighbor, and that you get more good shots!! Awwwwwe! I hope he is a good neighborToo! I just want to pick him up and hug him! Can I have a pet beaver to go with my wild bunnies?